Whenever I recommend a client on blogging these are the questions that usually arise from the conversation, what is a Web host? where can I get a web host, how much will it cost? what is the difference between WordPress and Hosting? and so many others etc. About WordPress, check out the reasons why you should create your blog on WordPress. In this post I am going to answer all the questions related to Web hosting, if you feel the answers provided need further explanations kindly lets discuss in the comments or you can contact me and I will give specific explanations. Has Reliable and Fast Support: There is a good way to find out the response rate and the quality of the hosting services offered by a web host is to send them an email before you sign up with them. If you receive a good response from your web host then this should give you a good indication of the services they are offering. Has Freedom: It’s important to have as much freedom as possible and having the ability to choose from a range of hosting services offered by a Web Host. It’s important that your web host will give you the option of selecting exactly what you need and what you don’t need. Also having the ability to pay monthly or yearly is a huge advantage. It will allow you to choose the best plan keeping in mind your pocket-size. Is Fast and reliable connection: You should find out exactly what sort of connection the web host has to the Internet. By asking the web host they should be able to send you their network and connectivity details, you might even be able to find this out on their website. Also find out where the web hosts Network Operations Center (NOC) is located, it is an advantage for the web host to have its NOC located in the USA as the USA has the fastest and most reliable internet connection in the world. Has C-panel Support: There should be back-end convenience to administer hosting account by adding the c-panel that is a market leading control panel. These are just some of the qualities you need to look for in when choosing hosting services that will be the home to your siteI understand that many Kenyan Bloggers prefer web hosting services provided by foreign companies, these companies provide hosting services to Kenya and they give the assurance of good speed, they are also considered very cheap compared to the local available once. I will tell you about the two common companies that offer good web hosting services, using them you will not be disappointed, you when you anytime and they are trusted since they have good reputation and are highly rated by their clients. This is one of the favorite for many bloggers, they offer good web hosting services for both bloggers and larger companies. I have had the privilege of hosting several websites and also stalled several blogs on Hostgator and will recommend them to anyone who is looking for web hosting services. I have never experienced any difficulty or frustration from them. 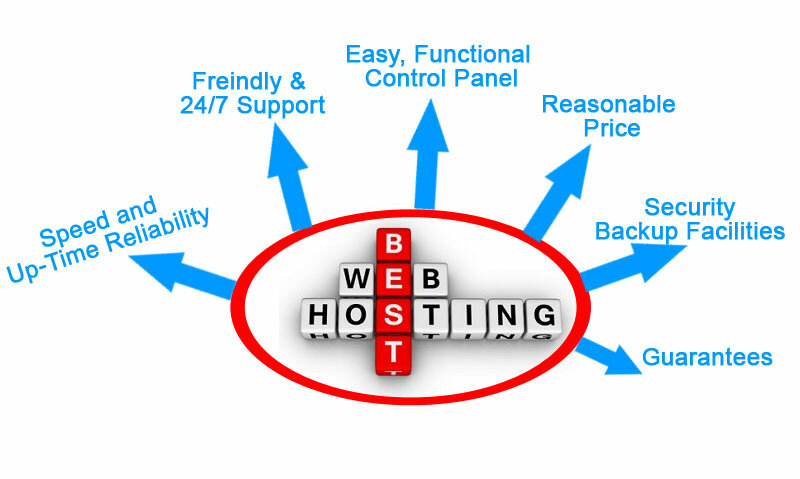 HostGator provides customers with a range of hosting services.It has been popular for its 3 exceptional hosting plans. The standard hosting plan offered by HostGator is called Hatchling. This plan starts at only $3.96 per month. This package comes with a single domain without any parked or add-on domains. Hatchling is perfect for beginners who want to set up a basic WordPress website or blog. BlueHost has always been considered one of the most reputed hosting services provider in the industry. The company has been in business for more than 10 years. It has always offered affordable and efficient shared hosting services. I host this blog on BlueHost. I chose this Host because it is cheap compared to HostGator, but the quality of services is undeniably awesome.BlueHost hosting plans start from just $3.95 per month. With these plans, you get high-quality technical support and rich features. You can use this link and you can sign up the instructions are straight forward. If you experience difficulties during sign up or installing your website or WordPress, you can contact me and I will help you with the process. Sign up to our newsletter to stay up to date with all the latest news. I have never been more confused about hosting. Someone recommended Bluehost to me but the initial cost was a bit of a shocker. I have a question. I am planning to combine content on 2 wordpress blogs into one site. Do I need to buy a template too? Hi Abby, the mentioned hosting companies in the post are international ones, but since you are planning to move to self hosting and maybe your budget is low, I would recommend you check one of the local hosting companies and the charges may go upto 3k per year. Contact us anytime and let's handle your project. Leading Digital Marketing Agency in Kenya.